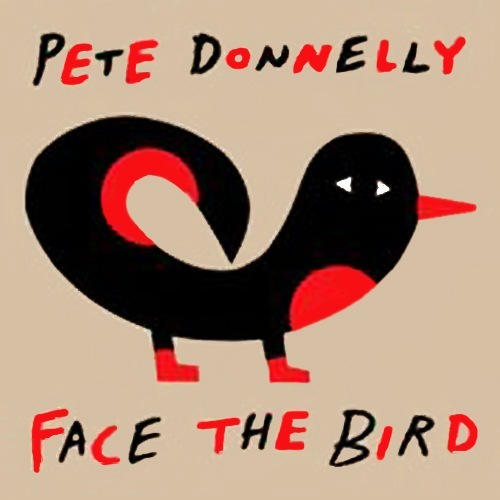 Face the Bird represents a return to the exploratory side of “home” recording and displays the pop-driven eclecticism that Donnelly and his Figgs mates have been offering up for more than 25 years. “Instead of rehearsing a band and booking time at a studio, I found a place where I could set up a bit of gear and record 24 hours a day,” says Donnelly of the new album. The result is a wide-ranging exposition of songs displaying far-reaching influences. The “studio” that Pete used to record Face the Bird was an unused storefront in Ocean City, NJ. Off-season, this city, a near desolate locale, offered the perfect place to retreat and pursue musical inspiration. That was until Hurricane Sandy flooded the island and much of the Northeast. It was a harsh ending to a prolific time. Throughout the month, long-time musical companion Fred Berman (Amos Lee) came and played drums. And with him came mutual friend and writer/producer Tony Reyes (TLC, CeeLo Green), who played bass, guitar, keyboards, and sang on a number of the tunes. After the hurricane, Donnelly finished Face the Bird in his home studio and in a couple of Philadelphia spots, including Waking Studio (owned by producer Bill Moriarty) where the single “Got Caught Up” was recorded. Donnelly wrote the song while in California writing with friend Shelby Lynne. Her vocals are from that original writing/recording session.